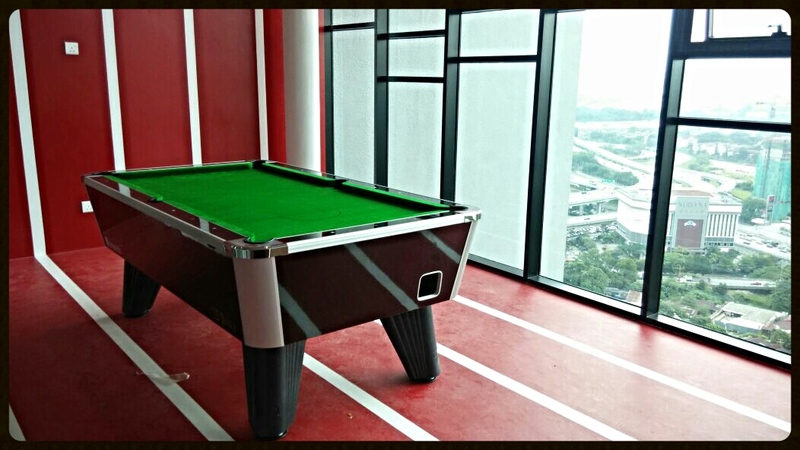 This week we set up two fantastic games rooms at Leafz @ Jln Sg Besi. Beautiful new condos available. 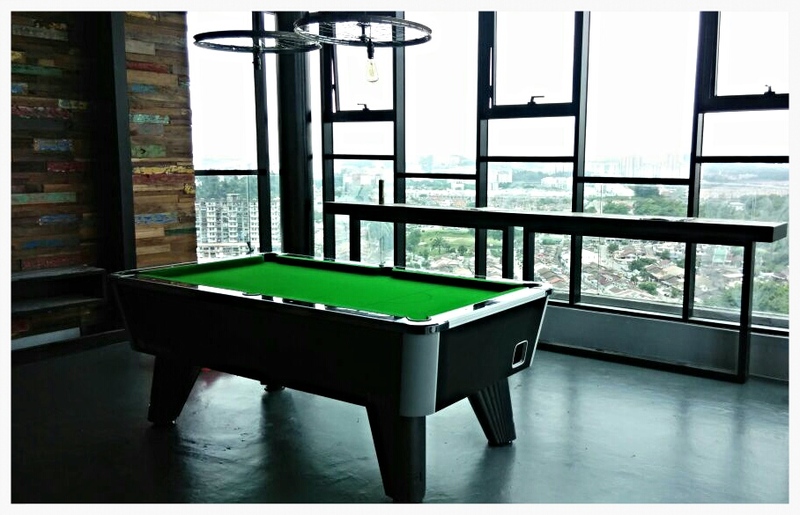 I must say these rooms look really good, with great views of the city while you play on the City British pool tables. 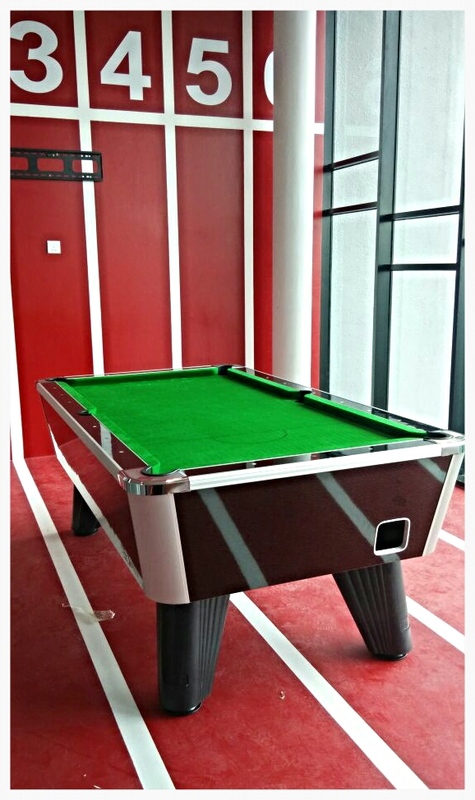 One room is set up like a running track. The second room looks just as good with a more rustic look, particularly the eye catching customised bike wheel lamp shade. 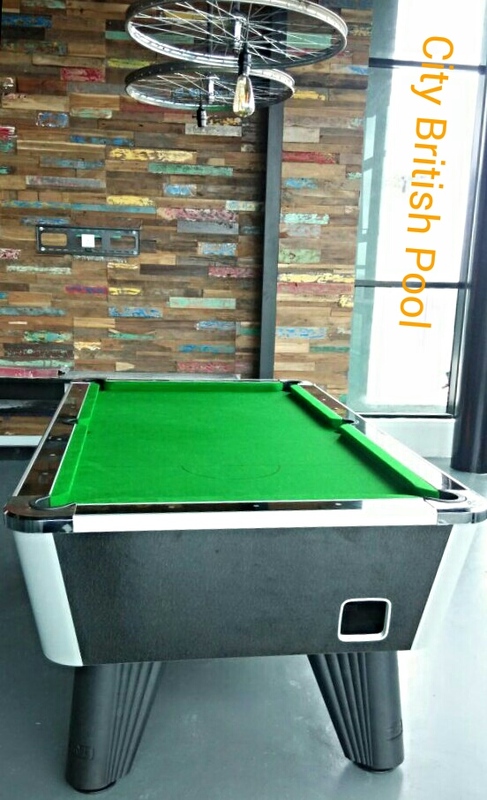 For more information on the City or any of our British pool tables check our British Pool section, email info@billiardsdirect.com.my or fill in the below form.